I know I’m supposed to say heels… but honestly- flats. I walk almost everywhere, so heels are just not logical for my sanity. As of today- I have exactly 60 pairs. Yikes! 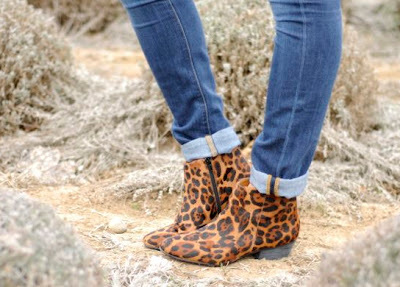 My favorite shoes right now are my Kelsi Dagger leopard print booties. They are totally my style and over the top- but feel like I’m wearing clouds. Best of both worlds! If you could be a shoe style what would you be and why? I would be a ballet flat! It is above and beyond the style that has taken over my closet. Ballet flats are effortless and chic, and are the perfect symbol of my style as a whole- or at least what I aspire my style to be! What's the most expensive shoe in your closet and do they have a special meaning? I have a pair of Badgley Mischka heels. They’re black with cute little bows on the side. They’re my most meaningful shoes because they were given to me as a gift for successfully going a year without shopping. How do you store your shoes in your closet and do you have any tips for keeping them in good shape? I keep my shoes all lined up on covered shelves in my closet. While I don’t wear heels a lot- I have a hefty collection. It is important to me to keep them clean- so I’ll dust them off when I’m doing house cleaning. I also swear by a good cobbler! All my favorite shoes have been re-soled when they needed it. Just because the soles are worn doesn’t mean their time is done! Right now, I am crushing on a classic pair of Chanel flats. If I could afford it- they would be my everyday shoe!! Someday… I hope to own a small collection of Miu Miu and Isabel Marants. Both have endless options- from sneakers to gorgeous heels. Both are unique enough to fit into my wardrobe, but at the same time they’re timeless. They’ll last more than one season. Shoes are in a league of their own. A blouse or skirt is sort of boring- you can have a hundred of them and they all mix and match. But shoes are a huge statement- they are the finishing touch for every outfit and can completely change an entire look. Shoes are an investment, you hold onto them for longer than you may keep a sweater. She has adorable style–and I'm kind of obsessed with the color of her hair! So pretty! 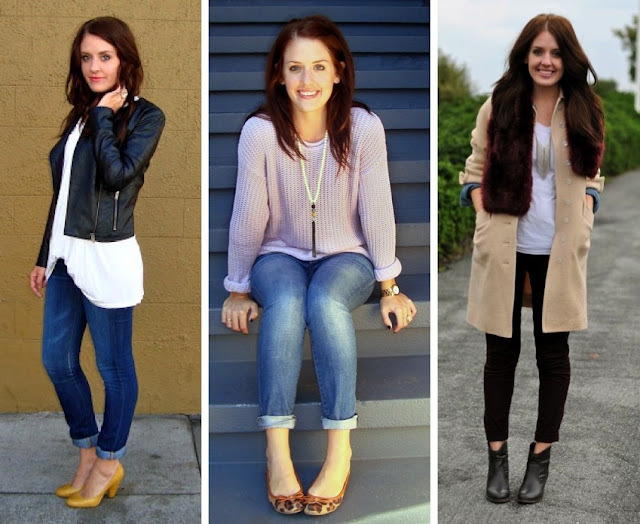 I just discovered your blog and wow, it's so full of pretty things and fun inspiration! Love the shoes series. . .I have a mad love for shoes! Thank you for introducing me to Kelli as well. She has an awesome style! 60 pairs sound about right. I think there's never enough! Kelli has a fantastic shoe collection - love those leopard booties! A pair o heels in leopard is what I'm looking for now. Never thought of wearing leopard with lavendar but great idea. I usually go with leopard and cobalt.